Jeffrey Huron is an attorney in the Business Litigation Group and serves as the Managing Member of Dykema’s Los Angeles office. With 30 years of experience litigating and arbitrating business, real estate and entertainment disputes, Mr. Huron has tried and won multi-million dollar high-stakes cases for a wide range of clients. Mr. Huron also has substantial experience in appellate matters, having handled more than fifty appeals and writs. 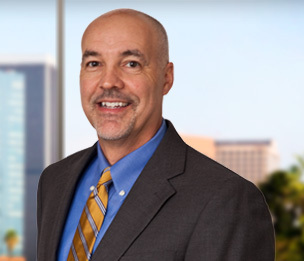 Mr. Huron has been recognized in Southern California SuperLawyers for Business Litigation every year since 2010. Mr. Huron’s clients include a wide range of businesses, partnerships, financial institutions, lenders, real estate investors and developers, receivers, and business owners and shareholders. His diverse experience includes litigation involving partnership disputes, breach of fiduciary duties, breach of contracts, interference with contracts and business relationships, copyrights, trade secrets, class actions, adversary proceedings in bankruptcy, lender liability, easements, escrow, broker, title and construction disputes, malicious prosecution, defamation, wrongful termination, sexual harassment, unfair business practices, and professional malpractice. Throughout his career, Mr. Huron has authored several articles regarding litigation and appellate practice. His article, Exclusion Preclusion, discusses how to preserve an appellate record when a court excludes evidence during trial and was featured on the cover of Los Angeles Lawyer magazine. And the United States Supreme Court cited Mr. Huron’s article regarding antitrust remedies in a 9-0 published opinion by former Supreme Court Justice Sandra Day O’Connor. "5 Unbreakable Rules for Successfully Managing Litigation Counsel"
"Moving for Reconsideration v. Moving for Renewal"
"Judgments Against Trusts Are Unenforceable"
"Recover Lossess - Are Costs Obtainable Under Attorney Fee Provisions"
"Case Resolves Unsettled Definition of 'Fair Value'"
"Glad You Noticed - Courts' Consideration of Deposition Testimony"
"Keep in Order - The Limits of Reconsideration Motions"
"Section 16 of the Clayton Act: Divestiture, An Intended Type of Injunctive Relief"